Please read the terms and conditions here instated carefully before your ordering of any products being advertised herein (hereinafter referred to as “the Product”) at www.mfo.com.my (hereinafter referred to as “our Site”). You should understand that by ordering any of the Products, you hereby agree to enter into an agreement with the merchant advertising the sale of the Products on our website (“Merchant”) and us and be bound by the terms and conditions as stated herein. For the avoidance of doubt, we are not responsible for supplying the Product to you (as it is the responsibility of the Merchant to do so) but we shall assist in coordinating the delivery of the Products to you. The parties to this agreement are the Merchant, MFO (as defined below) and yourself. 1.2 By placing an order for the Product, you are agreeable to be legally bound by the Terms and Conditions as stated herein (hereinafter referred to as “the Terms and Conditions”). l) references to “includes” or “including” or like words or expressions shall mean without limitation. In order to place an order with MFO, yourself must be of over 18 years of age. 3.1 The Terms and Conditions shall apply to all Orders and Contracts made or to be made for the sale and supply of the Product by the Merchant to you. Upon your placement of an Order, this shall constitute unqualified acceptance of these Terms and Conditions between yourself, MFO and the Merchant (and not between yourself and MFO only). 3.2 The Terms and Conditions shall prevail over any other separate terms put forward by you in whatsoever way. 3.3 The Terms and Conditions shall be binding unless otherwise agreed in writing by us. 4.1 Prior to placement of an Order, you must register for an Account on our Site as detailed in clause 10, and you must follow the instructions on our Site accordingly on how to make place your Order and making of changes to your prospective Order before your placement of an Order. 4.2 Once you have selected a Product that you wish to order, you will then be shown (on our Site) the charges you must pay including all taxes, if applicable, and any applicable delivery charges. Unless otherwise stipulated on our Site, all charges are in the currency as shown and/or then in force in Malaysia. 4.3 You are required to pay for the Product in full at the time of placement of an order with valid credit or debit card from a credit or debit card company acceptable to MFO or through Paypal or through a payment gateway which is acceptable to MFO, which MFO requires in order to process the Order. Alternatively, you may pay by any method that we have indicated on our Site and we shall only notify the Merchant to supply and/or deliver the Product upon MFO in receipt of the payment in full. Your payment will be received by MFO, which MFO shall thereafter transmit to the Merchant after deducting our service charges. Notwithstanding the above, the payment applicable payment structure shall be advised from time to time through our Site. 4.4 Upon producing the details of a payment card i.e. credit or debit card, you must be ensure that the same is valid and have sufficient funds to cover the payment for the Order to MFO. 4.5 MFO reserve the right to obtain validation of your payment details before delivery of the Product to you. In the event that there is there is a challenge as to your authority to use such credit card or debit card or account for the placement of the Order, we shall not be liable to refund any amounts of money that have been paid using such card or account. 4.6 When you submit an Order to our Site, you are agreeable and subject yourself to the Terms and Conditions as at the time of placement of an Order. You are reminded to read the late Terms and Conditions each time you place an Order. 4.7 Your Order remains valid as an offer until MFO issue our Confirmation of Order or, if earlier, when we receive your written notice revoking your Order. 4.8 We shall not be obliged to notify the Merchant to supply the Product to you until we are in receipt of your Order and as well as full payment as stated in Clause 4.2 herein. Unless you have received Confirmation of Order from MFO, an email, letter, fax or other acknowledgement of your Order by MFO is merely for information purposes only and does not constitute a Confirmation of Order. In an acknowledgement, you will be given an Order reference number and details of the Product you have ordered of which we will have our discretion to refuse an Order from you for any whatsoever reason, including the unavailability of supply of the Product from the Merchant and/or manufacturer. In the alternative, we may offer you to purchase an alternative Product (in which case is optional and should you wish to proceed, you are advised to place a new Order first). 4.9 A Contract shall be formed and we shall be legally bound to notify the Merchant to supply the Product to you upon our acceptance of your Order. An Acceptance shall take place when MFO expressly accept your Order, on behalf of the Merchant, by email to you, in a document titled “Confirmation of Order” which expressly stating that MFO is accepting your Order. MFO’s Confirmation of Order shall be deemed to come into effect when it has been delivered by MFO. In such instance, the Merchant hereby agrees to supply the Product to you in merchantable quality under any applicable law and in the form and quality as advertised by the Merchant on our Site and MFO shall be responsible for the delivery of such Product to you in accordance with the terms and conditions herein. We reserve the right to refuse to process your Order and you reserve the right to cancel your Order. If MFO or you have cancelled your Order before we have accepted it, then we will promptly refund any payment already made by you through credit card or debit card or account and you will be notified accordingly. 4.10 If you discover that you have made a mistake on your Order after you have submitted it to our Site, please contact MFO’s Customer Service Team at 03- 7956 3599 immediately. However, we cannot guarantee that we will be able to amend your Order in accordance to your instructions. In the event we are required to refund any monies to you as a result of a cancellation due to your mistake, we shall be entitled to deduct an amount of money equal to the processing charges we have incurred in clearing your monies when you place the Order and the charges incurred when refunding the monies to you. 4.11 We will use our best endeavor to ensure that the price given to you by the Merchant is accurate, but the price of your Order will need to be validated by us as part of our acceptance procedure with the Merchant. If the price for the Order changes before we accept your Order, we will contact you and ask you to confirm as to whether you wish to proceed at the purchase on amended price. 4.12 A Contract will relate only to those Product which MFO have confirmed in the Confirmation of Order. We are not be obliged to supply any other Products which may have been part of your Order until we have sent a Confirmation of Order in relation to the Product ordered. 4.13 You must only submit to our Site information which is accurate and not misleading and you must keep MFO updated and inform MFO should there be any changes. We shall not be responsible to re-deliver or re-route the Product ordered if the Product have already been delivered or is in transit to the address furnished by you to us. Save and except that costs and/or expenses incurred is to be reimbursed to MFO in arranging re-delivery of the Product ordered to a new designated address. 5.1 MFO will arrange to deliver the Product to you at the address furnished by you in your Order, provided always that the Merchant has made available of such Product to us for delivery to you and that the place of delivery is within Malaysia and easily accessible in the ordinary course of delivery. 5.2 We shall use our best endeavor (but shall not be obliged) to deliver the Products within 7 to 14 working days from the of MFO’s Confirmation of Order within Malaysia. 5.3 We shall advise you should there be delay in the estimated date of delivery, but, to the extent permitted by law, we shall not be liable to pay to you for any losses, liabilities, costs, damages, charges or expenses arising from the late delivery. 5.4 Upon you receipt of the delivery of the Product, you and/or your representative at the address furnished to MFO is required to acknowledge for such delivery. You are to inspect the Product for any obvious faults, defects or damage before you acknowledged for such delivery. Please retain the official receipt for any future liaison with MFO, if any. 5.5 Please note that the transporter may be able to deliver to some address furnished. If such circumstances, we will inform you accordingly and seek for arrangement to deliver to an alternative address as advised by you. 5.6 The delivery of the Product shall be in our standard packaging. Any special arrangement in packaging as requested by you is subject to additional charges. 5.7 All risk in the Product shall pass to you upon delivery by the transporter and acknowledged by you and/or your representative at the address furnished to MFO. From the time when risk is passed to you, MFO shall not be liable for any loss or destruction of the Product. 5.8 Extreme care must be given when you open the Product, particularly when using any sharp instruments. 5.9 You shall ensure that address given are ready to accept the delivery of the Product without undue delay. 5.10 If you are not available to accept the delivery of the Product, please arrange a representative or otherwise, arrange personal collection from the transporter upon advise. b) no longer make the Product available for delivery or collection and notify you that we are immediately cancelling the applicable Contract, in which case we will refund to you or your credit or debit card company as applicable any money already paid to us under the applicable Contract, less our reasonable processing charges (including but not limited to charges of transporter retuning the Product to MFO and any storage fees as stated in clause 5.11(a) above). 5.12 It is your responsibility to ensure that the Product that you intend to order suits your need. We do not warrant that the Product will meet your individual requirements. 6.1 MFO may cancel the Contract if the Product is not available for whatsoever reason from the Merchant. We will notify you accordingly and return any payment that you have made through the credit card or debit card or account when the payment was originally made by you. 7.1 If you wish to cancel your Order please contact our Customer Service Team via email customerservice@mfo.com.my In the event we are required to refund any monies to you as a result of a cancellation due to your mistake, we shall be entitled to deduct a processing charges prior to making the refund of the balance monies to you. Once an order has been delivered and/or in the transit by the transporter, it may not be cancelled. Should you wish to return the Product, the item must be returned to MFO in accordance to the guidelines provided by MFO’s Costumer Care Department (Please call MFO or refer to your return-slip as provided in your received parcel of the Product). 8.1 We hereby warrant that the Product will be delivered to you in undamaged condition and in accordance to the quantity(ies) ordered. 8.2 The Product is intended to be used strictly in accordance with the manufacturer’s latest published instructions as set out in our Site or as stated on the Product itself or its manual thereof. It is your responsibility to ensure that you use the Product strictly in accordance with those instructions. 8.3 Prior to delivery, we may have to make minor adjustments to material, colour, weight, measurements, design and other features to the extent that they are reasonable. 8.4 We use our best endeavor to deliver the Product in good usable condition. However, should you inform us that the Product is faulty, you are required to keep the Product in its current condition to enable us (or MFP’s agent) to attend to the inspection soonest within a reasonable time. b) providing to us with the delivery note number and such other information as we reasonably require in respect of the Order. we may at our discretion revert with our decision not to repair, replace or refund to you for the Product delivered. Instead, we will advise to pay all reasonable transporter’s costs and/or servicing costs at our current standard fees and costs and charge this to your credit or debit card, or the payment details that you provided to us when you paid for your Order. To the extent permitted by law, MFO shall not be liable to you for any losses, liabilities, costs, damages, charges or expenses arising from such arrangement. We shall not entertain any request for the repair, replacement or refund you for the defective Product if we do not receive a written notification (whether by way of letter or email) seeking for such repair, replacement or refund and providing the requisite information set out in clause 8.5 above, within fifteen (15) days of receipt of the Product by you. b) otherwise in relation to the Terms and Conditions or the entering into or performance of these Terms and Conditions. 9.2 MFO disclaims any responsibility and liability on the condition, quality, durability, performance, accuracy, reliability, merchantability or fitness for use of the Product sold and offered for sale by the Merchant. 9.3 MFO shall not be liable for any direct or indirect, consequential, incidental, special or punitive damages including without limitation damages for loss of profits, revenue or business opportunity, business interruption, loss of data, whether in contract, negligence, tort or otherwise, arising from the use or inability to use, whether directly or indirectly, the Products. 10.1 MFO shall perform all its obligations under the Terms and Conditions with reasonable skills and care. 10.2 MFO places great value on its customer’s satisfaction. You may contact us at anytime using the contact details on our Site or email to our Customer Service Team quoting the number of the Confirmation of Order. We will attempt to address your concerns as soon as reasonably possible and will contact you upon receipt of feedback from the Merchant and/or the Manufacture towards your enquiry and/or complaint. 10.3 Should you not have received no reply from us within five (5) Business Days from the date of your enquiry/complaint, please make further liaison with MFO. In rare cases your emails may be caught up in our spam filters or not reached us, or otherwise, the correspondence that we send to you may otherwise have not reached you. 12.1 MFO shall not be liable to you for any breach, hindrance or delay in the performance of a Contract attributable to any cause beyond our reasonable control, including but limitated to any natural disaster and unavoidable incident, actions of third parties (including without limitation hackers, suppliers, governments, quasi-governmental, supra-national or local authorities), insurrection, riot, civil commotion, war, hostilities, warlike operations, national emergencies, terrorism, piracy, arrests, restraints or detainments of any competent authority, strikes or combinations or lock-out of workmen, epidemic, fire, explosion, storm, flood, drought, weather conditions, earthquake, natural disaster, accident, mechanical breakdown, third party software, failure or problems with public utility supplies (including electrical, telecoms or Internet failure), shortage of or inability to obtain supplies, materials, equipment or transportation (“Event of Force Majeure”), regardless of whether the circumstances in question could have been foreseen. 12.2 Either you or MFO may terminate the Contract forthwith by written notice to the other party in the event that the Event of Force Majeure lasts for a period of five (5) Business Days or more, in which event neither you nor MFO shall be liable to the other by reason of such termination (other than for the refund of the Product order and paid however not delivered to you). 13.1 Any notice under the Contract shall be in writing and may be served by personal delivery or by pre-paid or recorded delivery letter or by email addressed to the relevant party at the address or email address of the relevant party last known to the other. 13.2 Any notice given by post shall be deemed to have been served five (5) Business Days after the same has been posted if the recipient address is in the country. Any notice given by email shall be deemed to have been served when the email has been proved to be received by the recipient’s server. In proving such service it shall be sufficient to prove that the letter or email was properly addressed and, as the case may be, posted as a prepaid or recorded delivery letter or dispatched or a delivery report received. 14.1 We shall keep a record of your Order and the Terms and Condition until 1 years after we have accepted your Order. However, for your future reference, you are advised to print and keep a copy of the Terms and Conditions, your Order, the Acknowledgement and the Confirmation of Order from MFO. 14.2 No failure or delay by MFO or you in exercising any right under the Terms and Conditions or a Contract shall operate as a waiver of such right or extend to or affect any other or subsequent event or impair any rights or remedies in respect of it or in any way modify or diminish our or your rights under the Terms and Conditions or the Contract. 14.3 If any clause in the Terms and Conditions or the Contract shall become or shall be declared by any court of competent jurisdiction to be invalid or unenforceable, such invalidity or unenforceability shall in no way affect any other clause or part of any clause, all of which shall remain in full force and effect, so long as the Terms and Conditions or the Contract shall be capable of continuing in effect without the unenforceable term. 14.4 You shall not assign, transfer, novate, charge, sub-contract, create any trust over or deal in any other manner with the Terms and Conditions or the Contract or all or any of your rights or obligations under the Terms and Conditions or the Contract. 14.5 Nothing in the Terms and Conditions or the Contract shall create or be deemed to create a partnership, an agency or a relationship of employer and employee between you and MFO. 14.6 No person who is not a party to the Terms and Conditions or the Contract shall acquire any rights under it or be entitled to benefit from any of its terms even if that person has relied on any such term or has indicated to any party to the Terms and Conditions or the Contract its assent to any such term. 14.7 The Terms and Conditions and the Contract (and all non-contractual obligations arising out of or connected to them) shall be governed and construed in accordance with Malaysia Law. Both MFO and you hereby submit to the non-exclusive jurisdiction of the Malaysia Courts. All dealings, correspondence and contacts between MFO and you shall be made or conducted in the English language. 15.1 We reserve the right to amend the Terms and Conditions at any time. All amendments to the Terms and Conditions will be updated on our Site. Ongoing usage of our Site will be deemed to constitute acceptance of the new amended Terms and Conditions applicable from time to time. 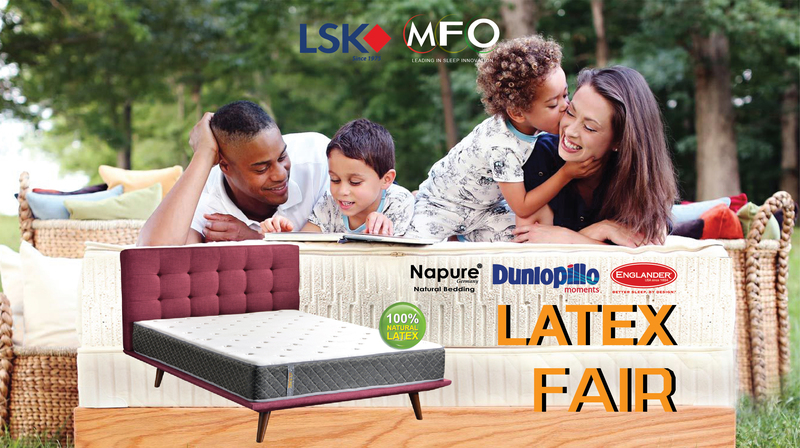 Copyright © 2016 Mattress Factory Outlet Sdn Bhd. All Rights Reserved.